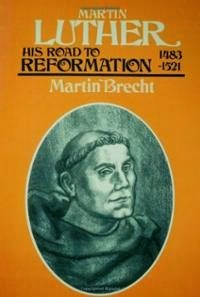 Beggars All: Reformation And Apologetics: Martin Brecht: Tetzel did not say, " As soon as the coin in the coffer rings, the soul from purgatory springs"? Martin Brecht: Tetzel did not say, " As soon as the coin in the coffer rings, the soul from purgatory springs"? Here's one from the Catholic Answers forums that demonstrates why it's important to read out of the meaning of a text rather than reading something in to the text. First of all, how, specifically and exactly (of course), did Tetzel actually ‘provoke’ Luther? A few pages earlier Brecht reviews, in general, the 95 Theses. He mentions Thesis # 27, which is as follows: “27. They preach only human doctrines who say that as soon as the money clinks into the money chest, the soul flies out of purgatory.” Luther, “95 Theses” “The phrase ‘as soon as the coin in the coffer rings the soul from purgatory springs’ is also extremely questionable.” Brecht, pg. 194 Here Brecht admits what virtually every reputable Scholar (Protestant and otherwise) now understands, that Tetzel never said ‘as soon as the coin…….”. This means that Luther was mistaken about how Tetzel was preaching the Indulgence. Had he not gone off half-cocked but had bothered to actually make sure of the facts of the matter, he would not have made this mistake, and maybe, just maybe, without the misperception [sic] of a ‘provocation’ by Tetzel, possibly Luther might not have started the ‘Reformation’. 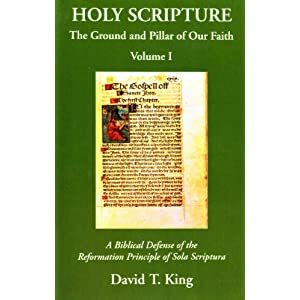 27.There is no divine authority for preaching that the soul flies out of the purgatory immediately the money clinks in the bottom of the chest. 28. It is certainly possible that when the money clinks in the bottom of the chest avarice and greed increase; but when the church offers intercession, all depends in the will of God. 29. Who knows whether all souls in purgatory wish to be redeemed in view of what is said of St. Severinus and St. Pascal? (Note: Paschal I, pope 817-24. The legend is that he and Severinus were willing to endure the pains of purgatory for the benefit of the faithful). Brecht is describing Luther's points section by section in the 95 Theses. It's Luther saying that the phrase " the soul flies out of the purgatory immediately the money clinks in the bottom of the chest" is questionable. On page 182 Brecht explains that the phrase, "As soon as the coin in the coffer rings, the soul from purgatory springs" had been around as early as 1482. I don't recall a discussion from Brecht in this section exactly as to whether Tetzel said it or not. Regardless, while Tetzel may not have coined the phrase, he taught it's sentiment.